July 1939. Oklahoma City, Oklahoma. 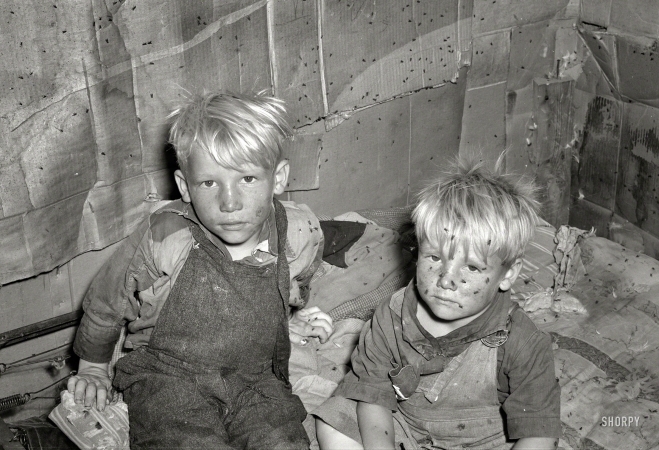 "Children of May Avenue camp family in small shack used as sleeping quarters."